Do not wear polymer clay while applying perfume, deodorant or hairspray. Do not wear your jewelry when working with household cleaners or chemicals. 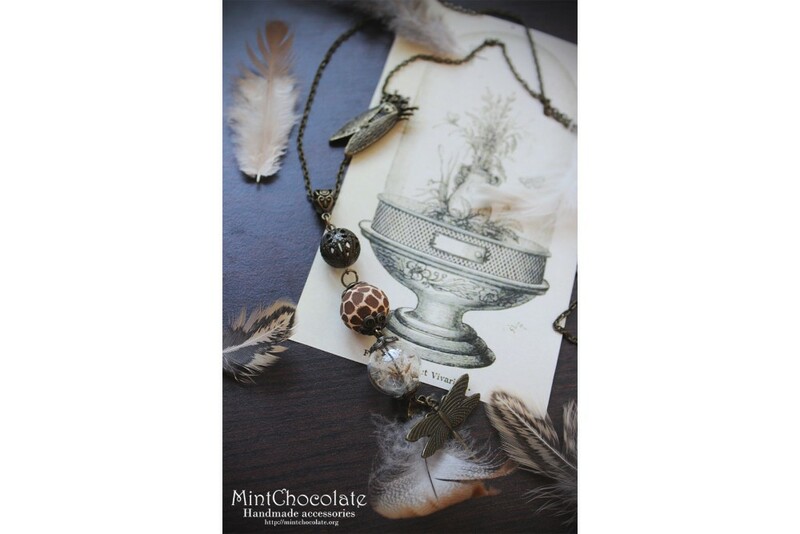 Take care not to drop polymer clay jewelry, as it may break just like any other clay or glass object. To clean polymer clay jewelry, wipe it off with a piece of soft fabric. 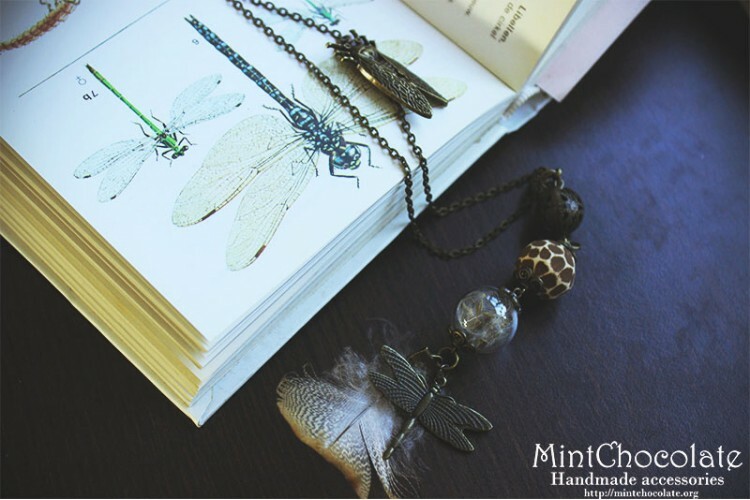 Avoid using any solvents or commercial jewelry cleaning machines as they may separate the resin layer from the polymer clay layer. When not in use, store polymer clay jewelry in a box or a separate compartment. Sharp objects can scratch its surface. 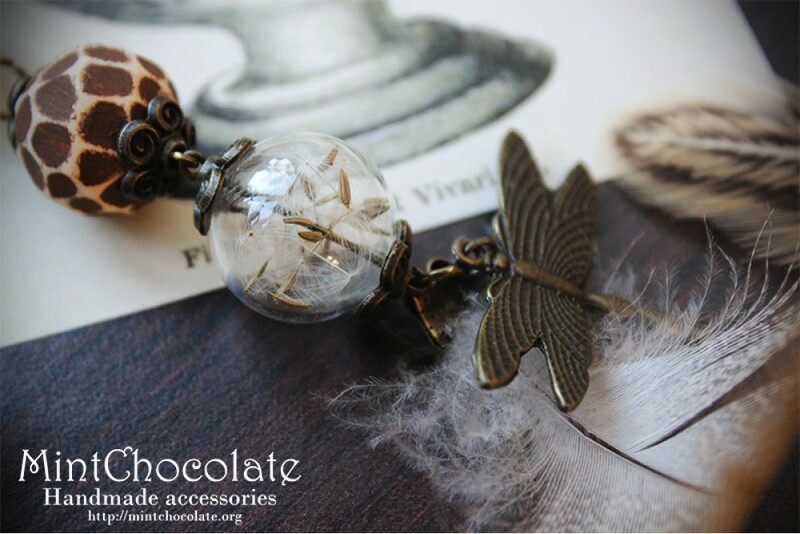 Only 2 necklaces availableMaterial: glass spheres with real dandelion seeds, peacock feathers, glass..
Material: real dandelions seeds, glass spheres, quartz, metal Size: sphere dimeter-3 cmChain le..